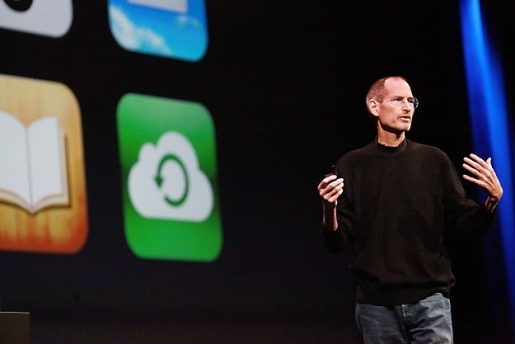 A frail-looking Steve Jobs at the launch of iCloud. It’s been a long time coming, but now it’s official. Steve Jobs is stepping down as CEO of Apple due to his health problems. After fighting off cancer and getting a liver replacement, it’s apparent that Jobs’ best days are behind him. Now, he’ll be taking a permanent vacation from Apple. With Jobs out, long-time second and Chief Operating Officer of Apple, Tim Cook, will be elevated to Jobs’ place on Apple’s board and his position as CEO at the Cupertino, California-based company. Despite my problems with Apple’s business practices under Jobs, I come here not to bury Steve, but to praise him. This is a man who founded Apple from nothing, and when the company was about to go under, Steve Jobs came back and saved the company. No, he did more than save it, he turned Apple from a niche computer company catering to artists and those with too much money to spend and turned it into a powerhouse with record profits that may end up being the most valuable company in the world before Jobs finally kicks the bucket.